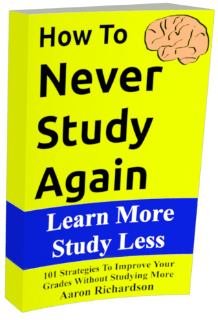 Q/A – What’s The Difference Between Memorization And Studying? It seems like you draw a distinction between memorization and studying. I get there are obvious differences outside of a school context but inside of a school, to me, they’re virtually the same thing. What are those differences in school? I think about the relationship between memorization and studying as two nebulous spheres connecting like a venn diagram. I realize how unhelpful that is but hopefully with a little clarification this image will help. Perhaps I was just looking to use the word nebulous and sphere. It’s really just a hazy venn diagram. This is very similar to the distinction I make between memorization and understanding. Studying is the word I prefer to use for the process of trying to understand. I’m not always completely disciplined about this distinction for two reasons. This is a minor distinction that only a tiny percentage of the audience would appreciate. Memorization is the process of recording and (more importantly,) recalling certain individual facts. Memorization in practice would be reading one side of a flash card and knowing what’s on the other side of that flash card. Studying is more closely related to learning in my mind. When you memorize something, you’re looking for a single connection between two things. When you’re studying something, you’re looking at the relationship between a number of different important facts (but you’re less focused on the individual details.) 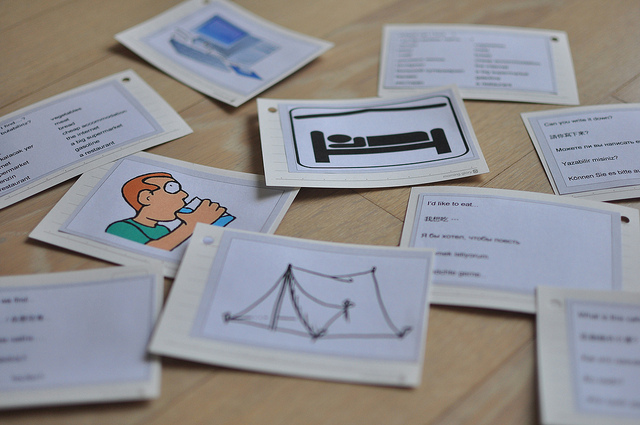 So, when you look at one side of the flashcard, you might not know exactly what is on the other side of the flashcard but you should know how what you’re reading relates to a lot of other information. For most of what this blog discusses, these two factors are intimately entwined with one another. That being said, in most classes, one of these factors is significantly more valuable than the other. History classes can be a good example of this discrepancy. In some history classes, the tests are heavily focused on dates and names. In those history courses, memorization is the important part. In history courses that focus more on the general timeline of events, memorization isn’t all that important. (These two factors are so closely related that I rarely feel the need to distinguish the two. That can lead to it being confusing if you’re being precise.) Both factors still matter in both classes but they matter in different amounts. Why I Distinguish The Two? Most of the time, making a distinction between these two forms of preparing for a test (studying, you might call it, to make this even more confusing,) is unnecessary. It’s much easier just to focus on the nebulous connection between the two. When you study something, memorize the memorable parts. When you memorize something, try to understand it too. The advantage to making the distinction between these two strategies is efficiency. Memorization provides a much less deep understanding of a subject in significantly less time than traditional studying. That less deep understanding can provide better results than a more deep understanding depending on the subject. Let’s say you’re taking an anatomy course as an elective. (I know it’s a weird choice but play along.) In an anatomy course, you’re usually required to learn a huge number of bones and muscles. Considering it’s an elective, those are hundreds of relatively pointless facts. To learn how those bones interact with each other can help you become a more successful health majoring student but you can memorize all those muscles and bones in much less time than it would take you to study them. Of course, this can go in the opposite direction as well. If you’re taking an literature course, it’s virtually pointless for you to waste your time memorizing assorted facts about the book. In most cases, if you read it and get a general idea of what happened, you’ll be just as well suited for the test as if you spent hours memorizing it. Naturally, that comes with the risk of forgetting individual facts that can help you. Studying information can also let you learn the bare minimum relatively fast if you’re doing it right. In most cases though, the bare minimum to learn is a balance between studying and memorization. They’re virtually the same thing in these cases. That balance usually doesn’t have to be cautiously maintained by a student. It tends to come naturally in most situations. In this blog I try to point out the situations when it doesn’t. The distinction between the two is not perfectly clear and they definitely overlap significantly but there is a difference. While I may bring up the distinction at times, it’s generally a small factor when it comes to study efficiency. Do you want to know how to study in less than 15 minutes a night? That’s what this blog is all about. Be sure to follow and check out the archives to learn more. If you’re looking to master memorizing, studying, and your grades, check out the ebooks in the sidebar.